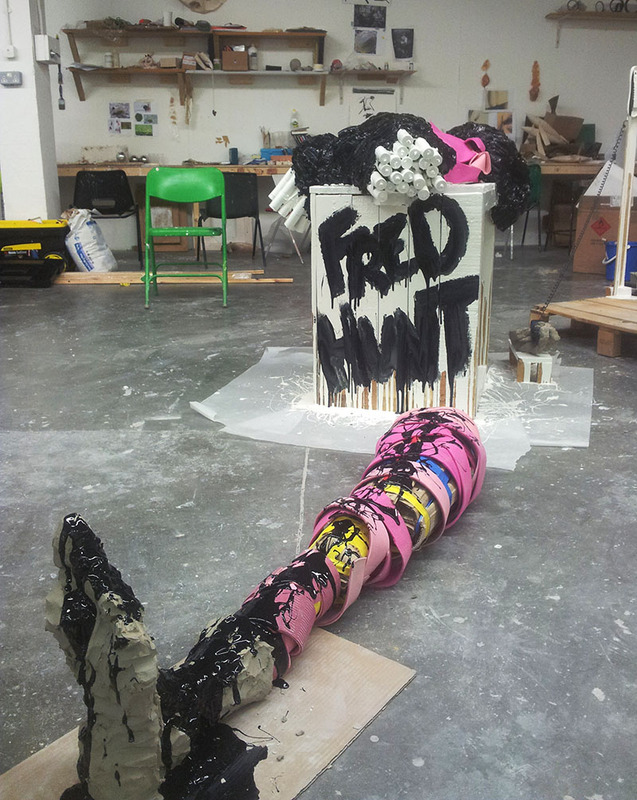 We talked to 1st Year BA Sculpture student Fred Hunt about his experience during his first term at Camberwell College of Arts and what inspired him to choose Sculpture. Please tell us about your experience at Camberwell so far. The first term has absolutely flown by, it feels like I’ve already been here for years. We have been very busy, completing 1 group project and 2 personal projects so far. There is now a real sense of momentum and I’m eager for the next term already, I was kind of upset that we had to break up for Christmas at all. What inspired you to choose Sculpture? Out of all the disciplines I’ve always been drawn to working with 3D materials, so choosing Sculpture was quite an easy choice. The course however is in no way limited to making strictly 3D pieces; everything is encouraged, wherever it is you wish to take your practice. The large open studio system was really appealing too, not being limited by space really gives you the freedom to make what you want. This is also great because it makes for lots of interaction between the different year groups. 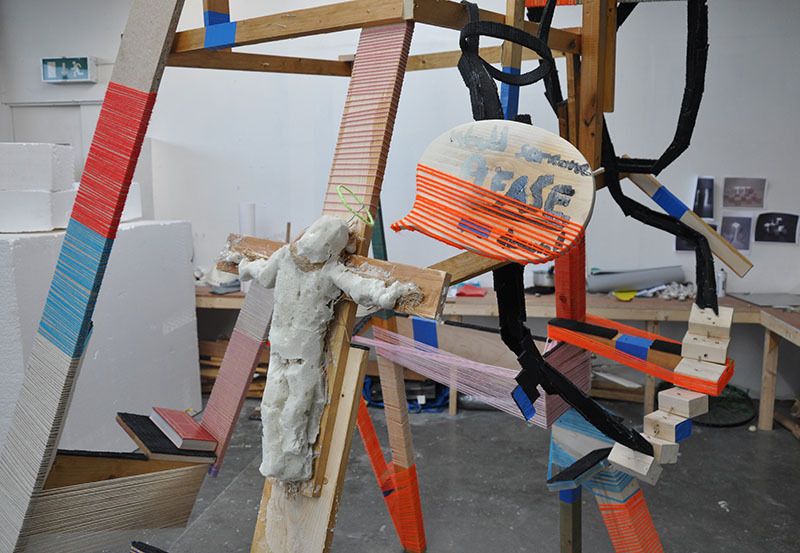 How has your practice developed during this term at Camberwell? My practice has gone through a lot since starting, I came to Camberwell with quite a few preconceptions about my own art and the art world in general. These were quickly dissolved, the tutors have encouraged us to drop everything we think we know and start afresh, many of the second and third years encouraged this idea too. You start to understand that university isn’t about polishing the artist you think you are and more about a controlled exploration of yourself and your practice. It has been really rewarding to start anew like this, the world seems quite a different place now and art seems as exciting as ever. The intense gallery visits and numerous technical workshops have really accelerated my practice. I’m seeing and learning so much here, and have been producing such a variety of things, all fresh and new to my practice. A contextual studies essay has led me to the work of Paul McCarthy and I’ve become interested in a possible performance piece. I have been drawing up plans for a surreal cartoonish Wimpy Burger set in which silicone masked chefs will be preparing the food, they will have awkward inflated hands and the various kitchen utensils will be super-sized. I want it to be focused on the idea of play, there will be no script or real direction, I just want to see what happens. The participants will be dressed up as their character and then implanted into this cartoon world, they can then do as they wish. Much like in McCarthy’s performances it’s the idea that you lose sense of yourself and your actions become somewhat instinctive or driven by your subconscious. Hopefully the costumes and environment will cause the participants to shake off the social conditioning we all have and reveal something interesting with the surreal new freedom they have. How do you see your career and practice developing? I quite happily have no idea where my practice is heading right now. I’m enjoying having the opportunity to explore and am excited to see where it will take me. 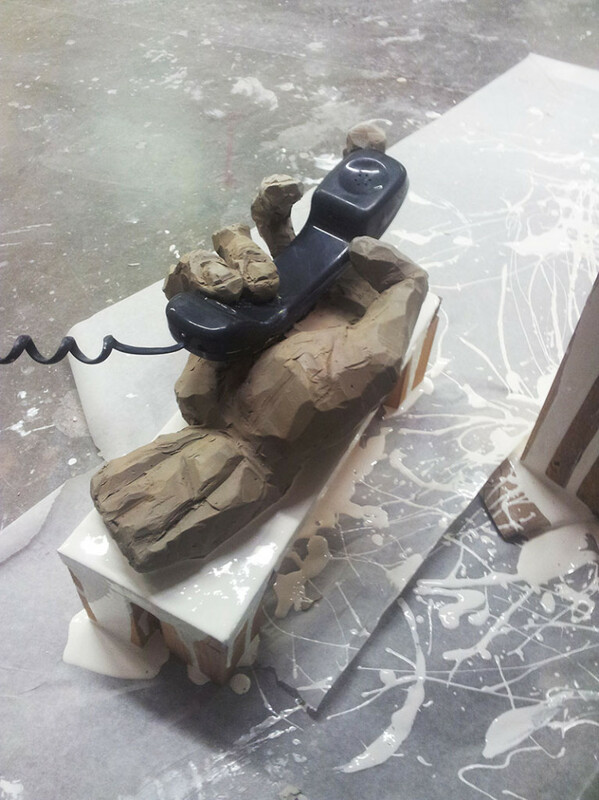 Do you have any advice for students applying to BA Sculpture at Camberwell? Camberwell is a special institution, once here you’ll realise that there is no other place like it. The environment is both progressive and open, and the university has everything you need right at your fingertips. I feel lucky to be a part of it.